FAIRFAX, Va. — In a desperate move to regain financial stability, NRA spokesperson Dana Loesch announced Monday that the NRA would begin 3-D printing its own money. In a July 20th court filing, the organization stated that it was losing millions of dollars and that it may soon cease to exist. 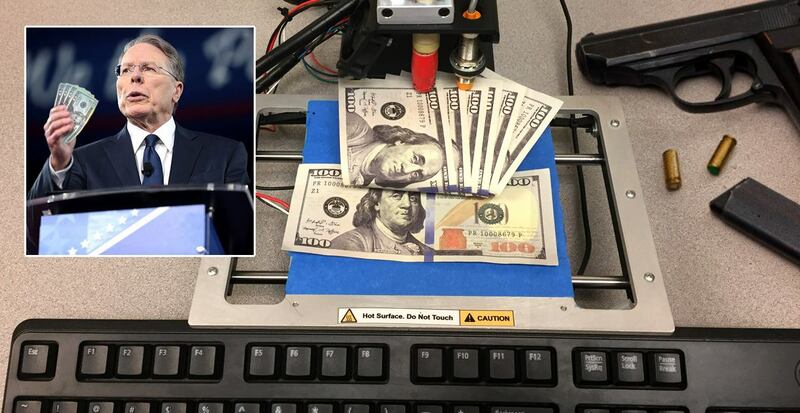 However, citing the recent ruling by the Department of Justice allowing for the 3-D printing of guns, Loesch sees 3-D printed money as the way to regain financial solvency. The currency, known as NRA Bucks, will come in convenient Browning 9, Colt 38, and Winchester 73 denominations. Have you been to our online store? What are you waiting for then?